To be honest about it, when I realized that my original garden was not growing very well because the plots were not getting enough sun, I was filled with many emotions. There was disappointment and sadness because I had worked so hard to grow all of the plants from seeds under my grow light and so to see them struggling to live was hard. Anger was present, of course. How could I be so stupid and not realize that the sun was not going to shine through the surrounding trees once they were filled with leaves? The money part weighed on me as well. It wasn’t cheap to build four beds with nice gravel between them and then surround the plots with a secure fence to keep assorted critters out. At the end of the 2011 gardening season, I thought it was over for my garden sanctuary. It was time to dismantle the whole thing and just give up. Over the Winter and into the beginning of the 2012 gardening season, I took some time to think about what, if anything, would grow and prosper in the area. 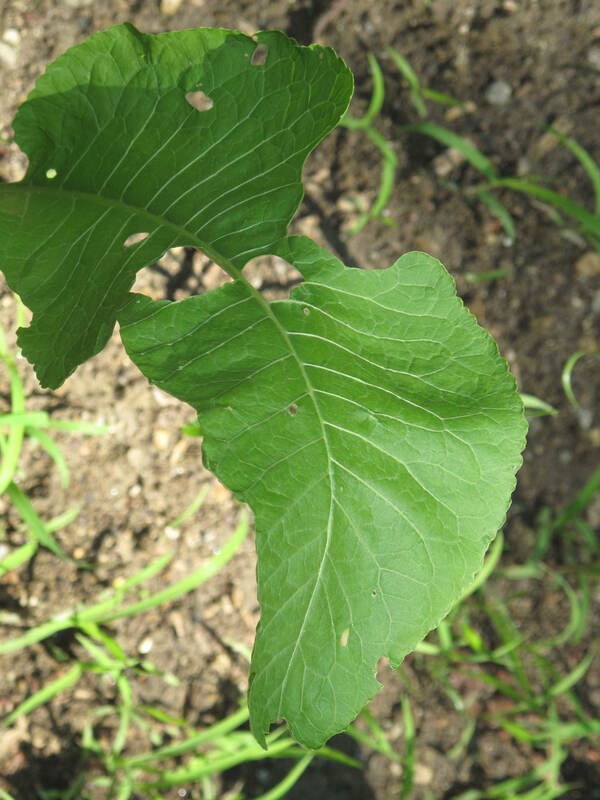 I came up with a list of crops that thrived in early Spring and actually would be harvested before the trees surrounding the old garden would be full of leaves. 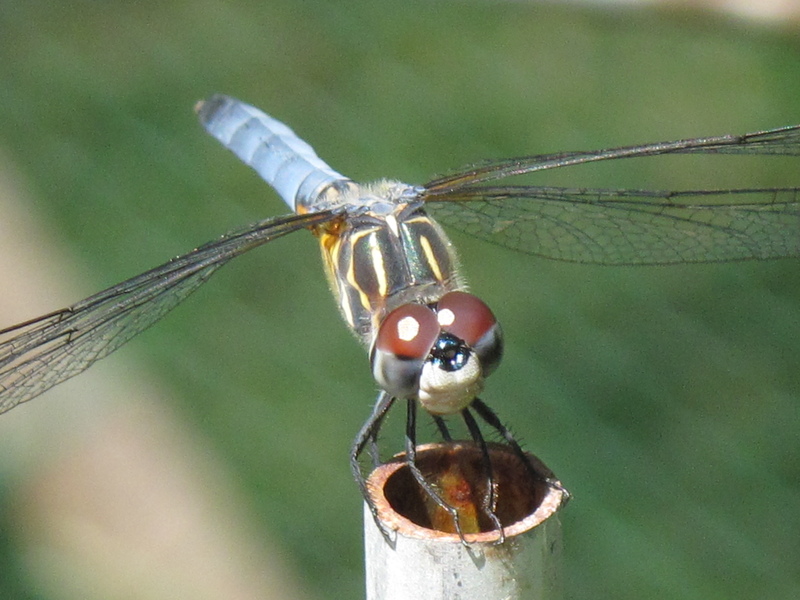 I decided to not give up on the garden, but try planting three of the four plots with early providers–namely, a large plot of asparagus, another plot of horseradish and, last but not least, a third plot of rhubarb. With these three groups of plantings, I am hoping to allow them to start growing in very early Spring when the surrounding trees are leaf-less. 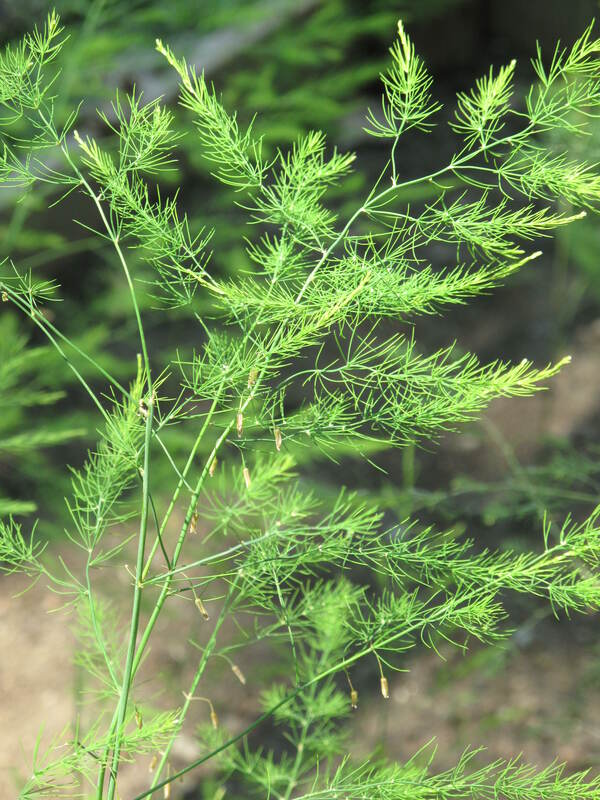 The three groups are some of the earliest plants to show their faces (or leaves) when Spring has just barely arrived. 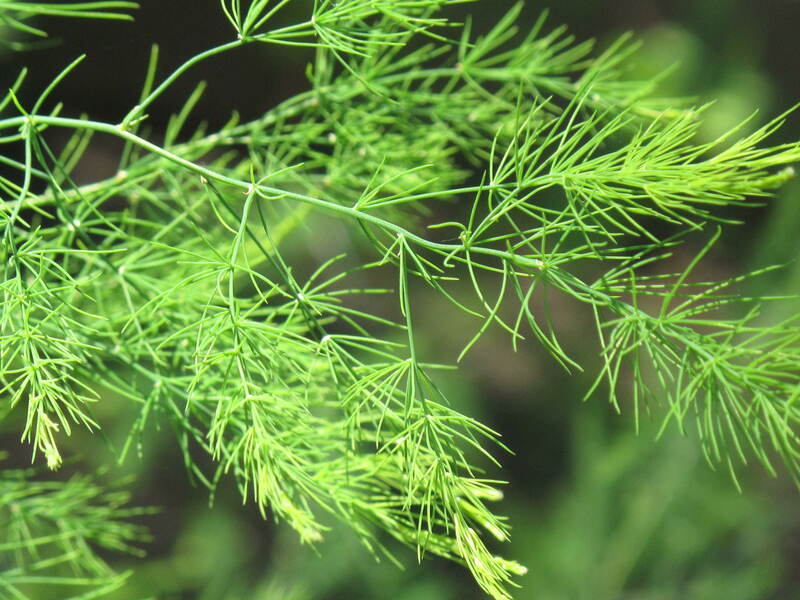 I also hope to get a few spears of asparagus, some off-white roots of horseradish to grind and some stalks of tangy rhubarb and be done with the plants by the time Spring has fully sprung and the area becomes more shaded. At that point, the plants can continue to grow, but their best performance will be behind them. At this point, the plants in the three plots are in their first year of growth. 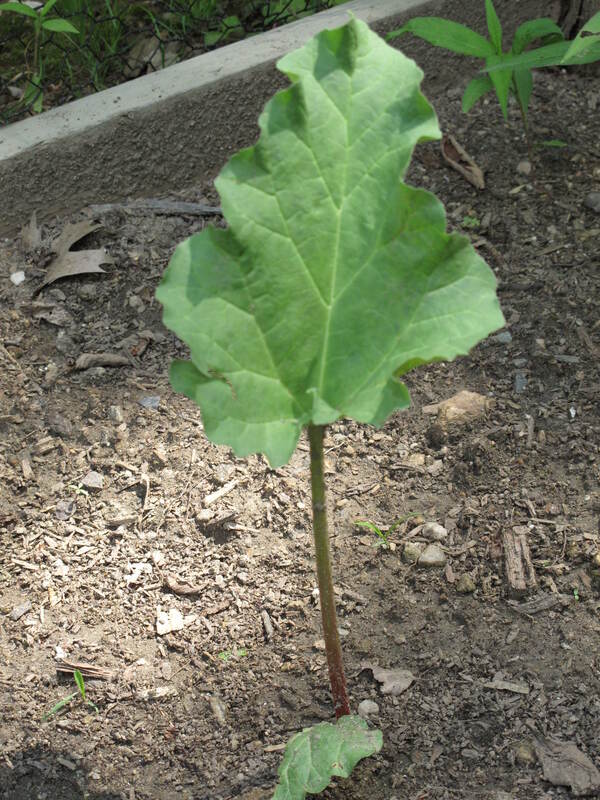 While they seem to be growing and multiplying, it is too early to make a call if they are going to make it in the coming years and produce enough asparagus, horseradish and rhubarb for us to eat. It’s better than nothing, right? Keep your fingers crossed. As well, I still have one plot left and empty. Any ideas on something similar that I can put in my last plot of garden? This is not the greatest way to start your Sunday. 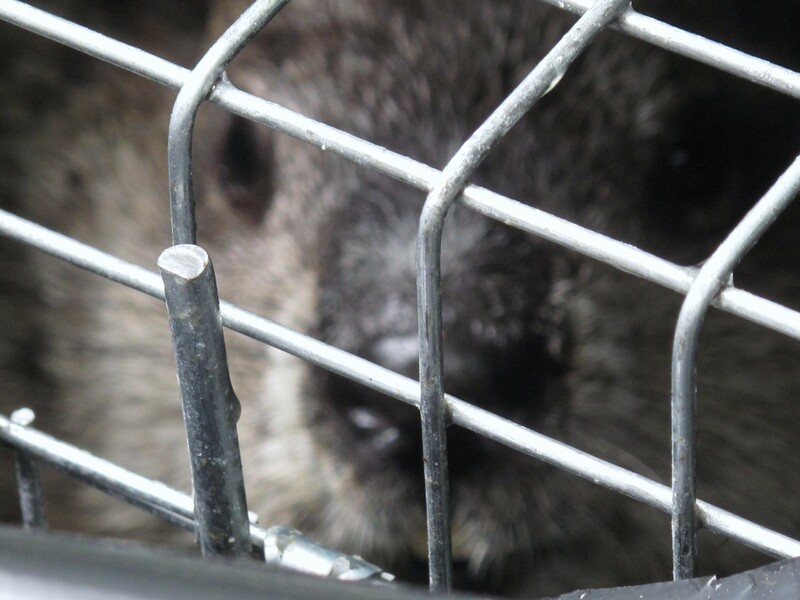 When the Saint animal control guy first came to the house to remove the woodchuck I had caught in my Havahart trap, he said that where there is one, there are several. Guess what, he was right! Let’s start the story from where we last left off with our woodchuck gossip. As a precaution to keep what’s left of my garden in a healthy state, I have continued setting my trap as much as possible to deter my new woodchuck neighbors. 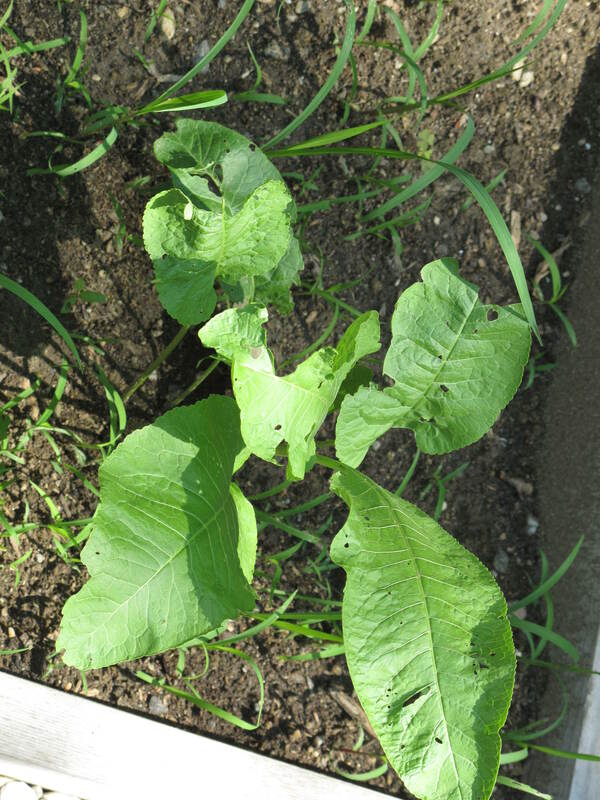 Several plants have snapped back after being eaten by a woodchuck earlier in July and I vowed to keep it that way. Last weekend, the food that I had loaded the trap with came up missing with nothing to show for it. 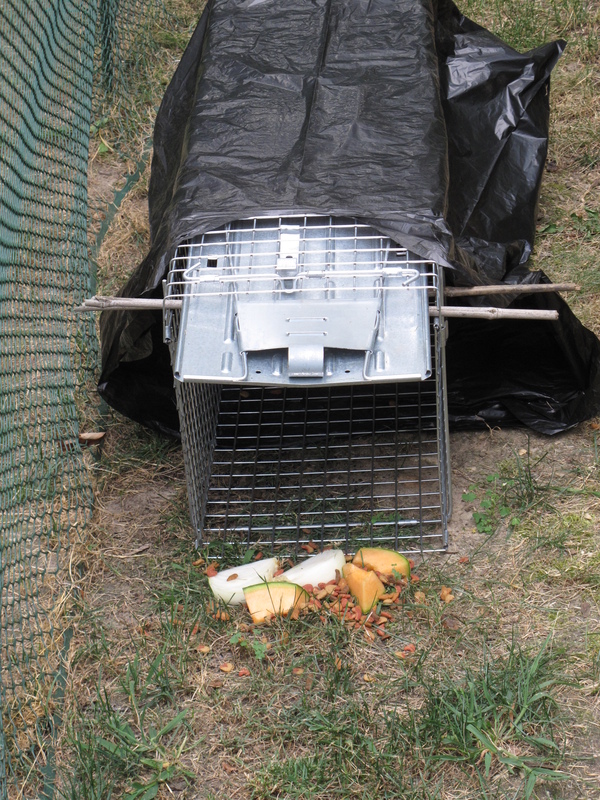 I had actually seen a chipmunk run in and bring out a piece of cantaloupe, so I figured that the food was going out in that manner–to an animal very light in weight so that it doesn’t trip the trap, but crafty enough to get the bait out. #2 is much smaller than #1 and less crazy. Less crazy meaning #2 isn’t slamming itself against the trap door to try to escape. I have to say that I am still not brave enough to pick up the trap and empty it, but I was less crazed than the first time I caught one. Who knows, by the time I catch #6 in my trap, I might be a real frontier man. I could live with the Laura Ingalls Wilder family on Plum Creek and trap my own food and drink water out of a stream. Who am I kidding? I’ll never be like that….and please God, don’t let there be 6! Yes, it’s you I’m talking to Woodchuck. Your crime? Crimes against humanity. Crimes against a garden, it’s owner and all the vegetables and flowers you’ve destroyed. After what you’ve done while I was on vacation means that I have to take our battle up a notch. It’s me versus you. Man versus beast. 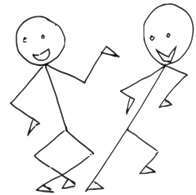 One of us has to go and it’s not going to be me…..I have way too many things that I’d have to pack. I knew something was up in my garden and now I am keenly aware that it is not a slug problem. How do I know it’s you, Woodchuck? It all starts the morning after my return from Las Vegas and a walk back to the garden. 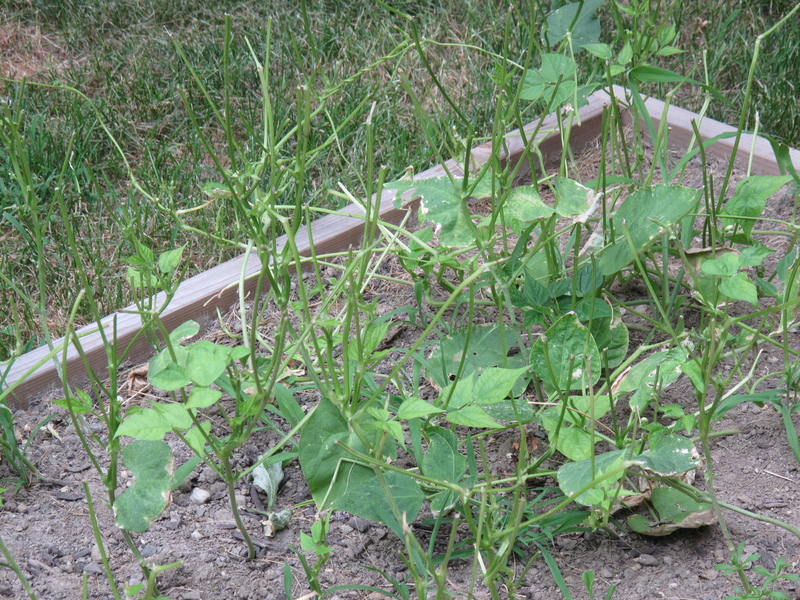 These are the green beans that I saw and now grow. No slug could do this. I found the hole you dug under the fence and looked at all your destruction. As someone who loves to garden, seeing my garden in bad shape was pretty devastating. I tried to stop the damage early, as many of you have read, and thought that I had been successful. Between the fence, the company that came and set traps and moved animals to another location and the various slug removal ideas made it look like I was beyond the destruction that had been occurring. I felt so smart!! Well, that is not the case anymore. I’m taking matters into my own hands. I am going to become my own Daniel Boone and catch Woodchuck on my own. How? I bought a woodchuck sized Havahart trap. I saw how the firm that came early this season set their trap up. They put their trap inside a black contractor’s garbage bag. Makes it look less like a trap and more like a dark little tunnel to those smart woodchuck critters. I can do that. They filled it with onions. I’m going to do one better….I have read a number of internet articles and I’m filling my trap with ripe cantaloupe, sliced onions and seafood flavored cat chow. I am going to put the food in the front of the trap, in the middle of the trap and then in the back so that when Woodchuck gets back there, it will trip the lever and the door will come down and trap it. I’ve decided that on Friday and Saturday night, I will not set the trap, but fill it with food. 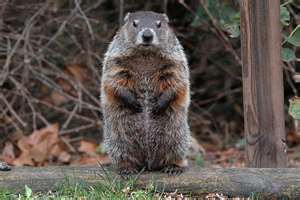 Woodchuck will come both days and eat the food and get used to the set up. 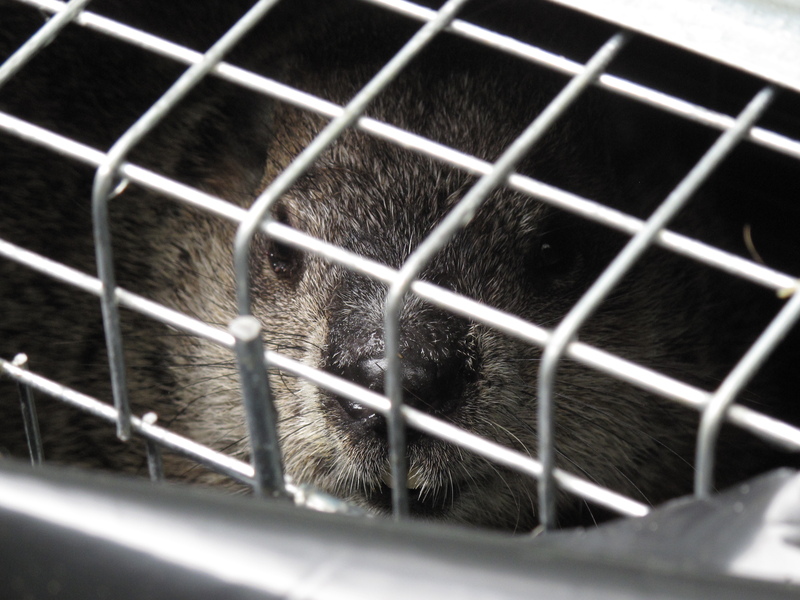 Then I’ll set it on Sunday and hope that Woodchuck feels comfortable going inside the trap and then I’ll get it. 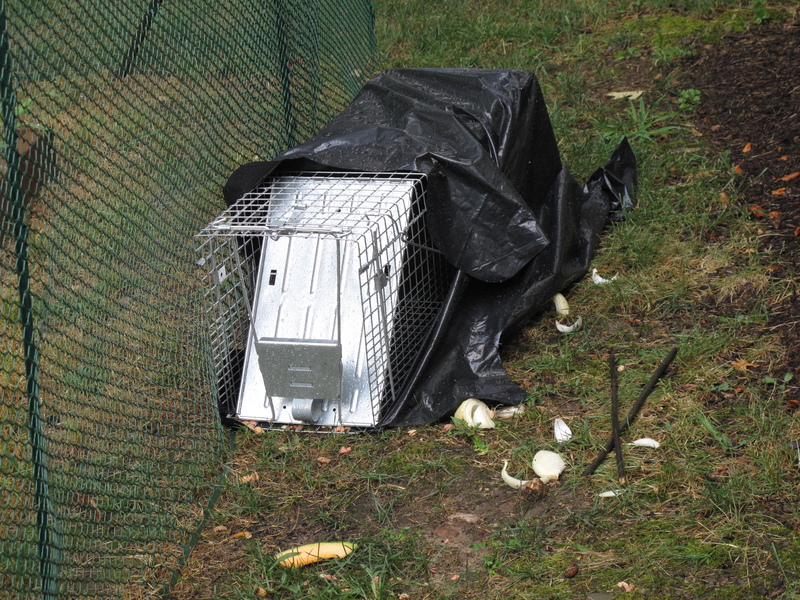 Right now, I’m pretty sure I will be able to remove the cage if I catch Woodchuck and open it far away from Glen Road so that the animal can get out. Well, let’s say I’m 75% sure I can do this. I have never really liked critters, so there is always the small chance I will need someone else to do it. I’m feeling confident though since I know that if I can’t do this, then my garden will be done for this season (if it isn’t already!). I’m more concerned about Woodchuck getting aggressive with me than I am about overcoming my fear of critters. 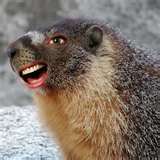 I think I’m pretty smart, but reading on the internet about woodchucks makes me believe they are smart too. What if Woodchuck tries to trap me?!?! 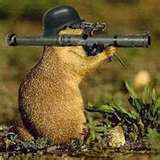 Here’s hoping I’m working against a dumb woodchuck versus a smart one. I’ll keep you posted…………..